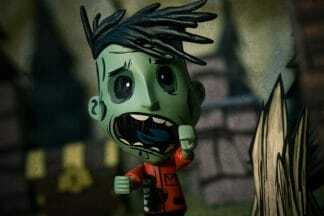 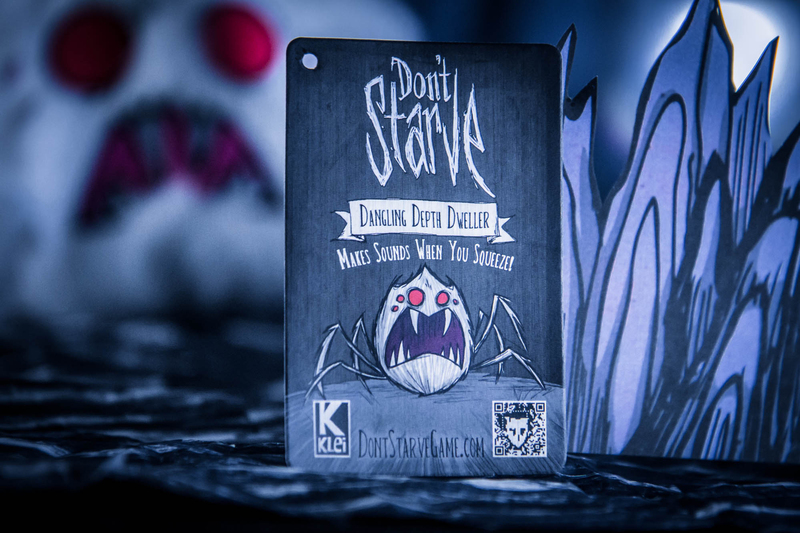 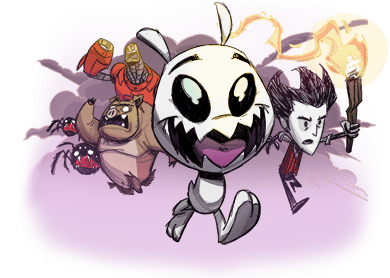 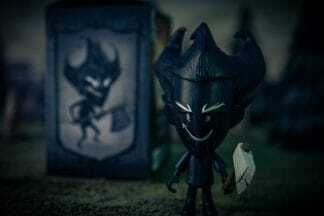 Deep within the caves of Don’t Starve lurks the Dangling Depth Dweller. 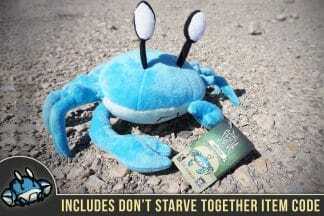 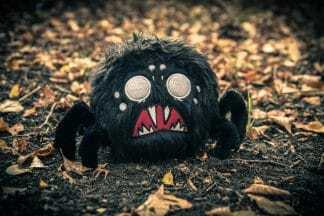 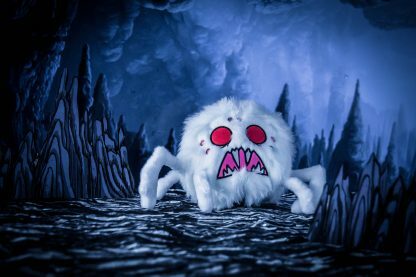 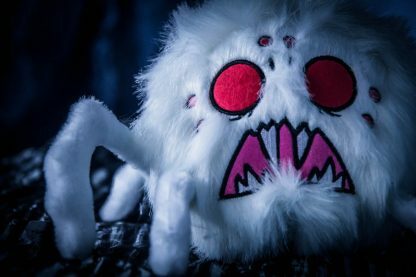 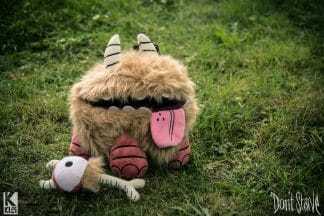 This Special Edition white cave spider plush features a removable voice box that when pressed plays 1 of 4 spider hissing sounds pulled from the game’s audio. This creepy crawler also includes wire reinforced legs that can be posed. 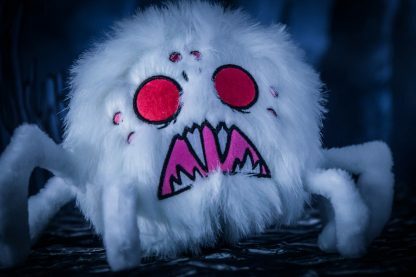 Special Edition White Cave Spider Fur! 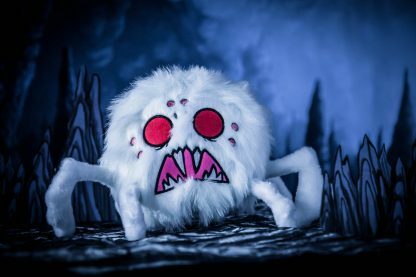 Stylable / combable body hair. 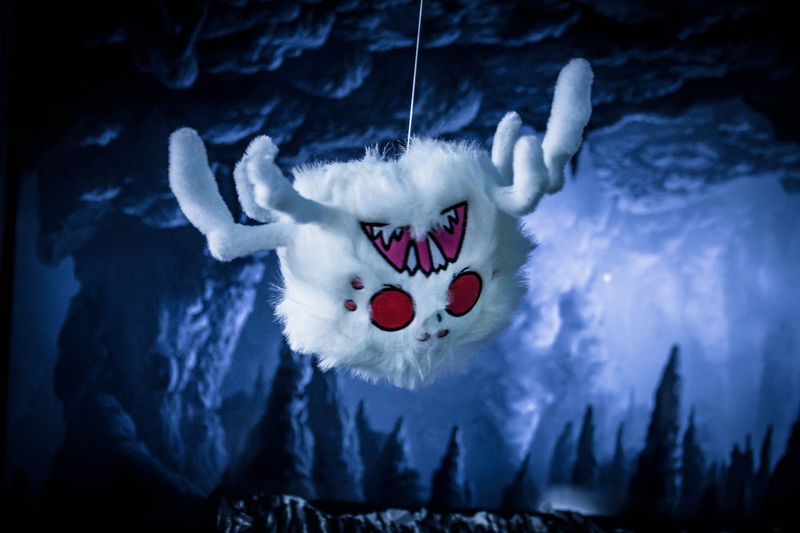 Note: Photo of plush hanging was achieved using a standard office paper clip clamp and white string.